Rock in the Red Zone is an intimate look at the Israeli city of Sderot near the Gaza Strip. It’s a town that frequently has Qassams (flying pipe bombs) hitting its streets. The impact of this almost daily barrage has hurt the town economically and leaves permanent physiological scars on its citizens. Yet despite all this for many kids and adults music becomes their refuge and outlet. And for most musicians they gather in a club and studio that is located in one of many bomb shelters located in Sderot. Where young and old alike , learn from each other, create, and often play music together. Other towns near Sderot at the beginning of the filming of this documentary do not get hit by Qassams (flying pipe bombs) nearly as much as it does. As a result many came to fear the city and avoid it as best they can. Slowly this attitude changes from a combination of its citizens becoming activists, and its growing list of influential musicians who as they gain stardom spread their message to brings awareness about Sderot across Israel and to nearby countries. As a result the town’s citizens get better protection and receive acknowledgment of their plight. But unfortunately the Qassams have not stopped instead they strike more and more areas of Israel. 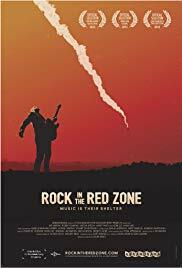 Rock in the Red Zone is touching, moving and informative and a documentary film that if you get a chance to see it do so. One website to find it is Netflix.